Calling on Farmyard Friends (Full - Large) Cross Stitch Pattern to print online. 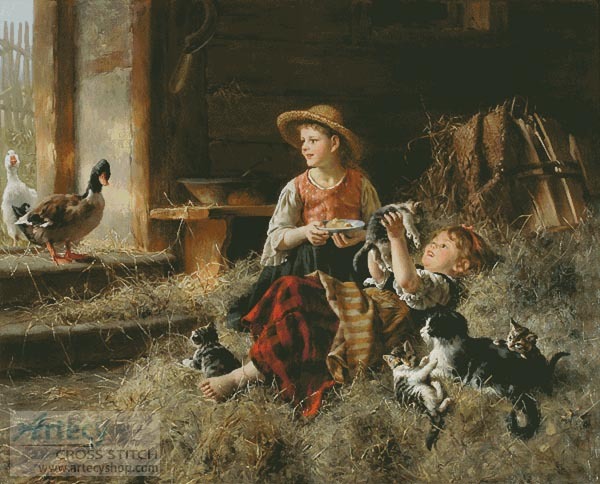 This large counted cross stitch pattern was created from a painting by Wilhelm Schutze. A large close up version of this Pattern can also be found here.